As I’m health conscious I constantly experiment with other flours then wheat. I also have my fair share of friends which are gluten intolerant, that also adds to my curiosity in terms of finding out what to use as a substitute. 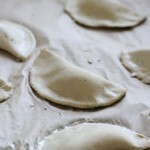 I swapped semolina and kamut flour for quinoa flour in my pasta dough recipe. However it was a small nightmare to handle this dough, since despite the arrowroot powder, the dough breaks apart very easily. I did not use a pasta machine, but worked the dough with a rolling pin. So I’m not sure if it will be easier or harder to use a rolling pin. Anyway I’m going to update this recipe in the future, when I get the opportunity to work with this flour for pasta doughs again. Add quinoa, arrowroot powder salt and nutmeg to a mixing bowl. Stir and ensure that the ingredients are evenly mixed. Quinoa flour is not as elastic as semolina flour. The dough becomes more brittle, hence the arrowroot. You can experiment with other binding agents as well. Dont make the pasta too thin, 3-4 mm minimum. 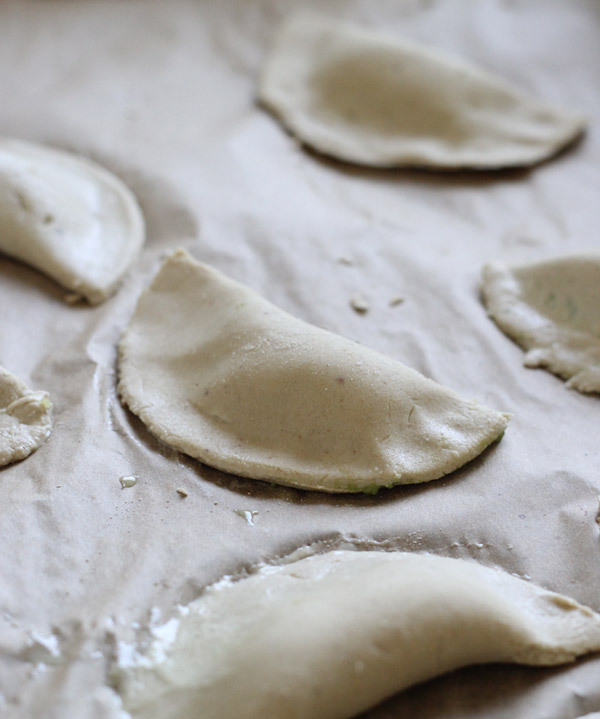 The pasta dough dries quickly and may crack. 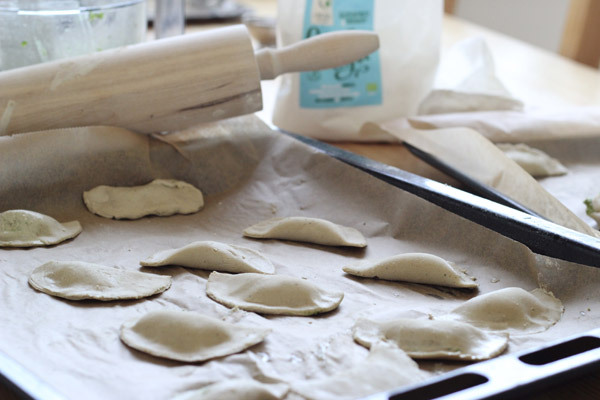 You can mend any cracks with small pieces of dough and water, by adding water to the crack, attach the small piece of dough, then with wet fingers gently swipe the dough into place and smooth it out.